Despite what you may think, you—and the vast majority of people—are probably capable of doing Grade 12 level math. While I was earning my journalism degree, I would hear my peers make off-handed comments decrying any requirement to do math, even saying that they hated the subject. I found this frustrating because I find that most math-induced groaning is the result of poor early experiences in classes, not an inability to succeed in it. Many of us are taught early math by English majors. It’s no wonder that, by the time we get to Grade 11 and 12, our occasionally-qualified teachers can’t do anything to make up for the crappy ones who were supposed to build our foundations in understanding mathematics. According to the Organization for Economic Co-operation and Development, Canada is currently ninth place on the PISA world math ranking, with Singapore, Hong Kong, Taiwan, and Macau in the top four places. The United States is well below the OECD’s average. I would be willing to argue that Canada only gets a spot on the list because we’re better at immigration—as many don’t go through the bureaucratic headache of becoming a citizen of Canada just to watch their children study English—and because there aren’t vast disparities between how much funding schools get in our country. The more educated you are, the easier it is to become a citizen in another country. Some of our top performers in STEM fields (Science, Technology, Engineering, and Mathematics) go to work in the U.S., where the H1-B Visa is used to bring over specialized foreign workers. I’m already aware of two engineers in my social network who now work for Microsoft and Tesla. Our spot on the OECD’s list is destined to fall. 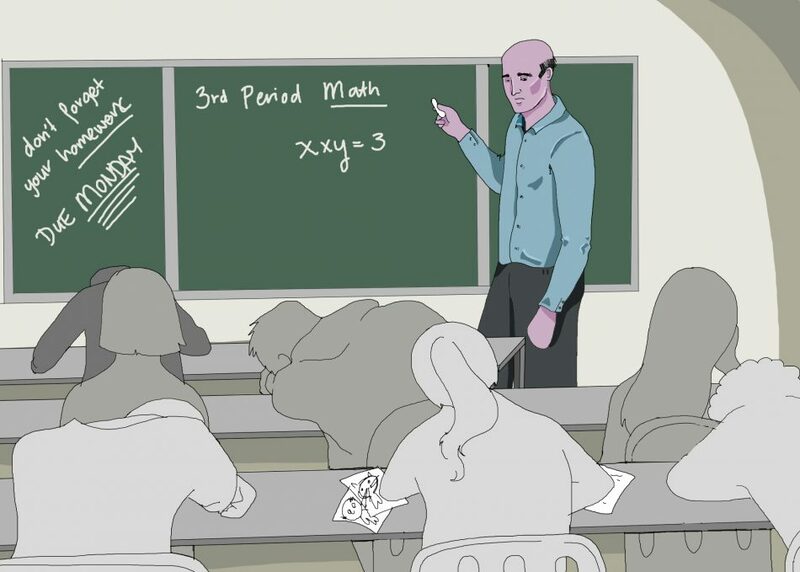 Doing nothing to change the way math and science are taught in Canada will create greater wealth divides in Canada in the future, but adopting less traditional approaches to math education won’t fix the problem of having inadequate instructors in the school system. When teaching standards in public schools are poor, it ensures that only financially secure families that put a high value on education will be able to give their kids the skills they would need to succeed in STEM fields. STEM courses are what you take if you want a job waiting for you when you get out of school, and not having students with those sorts of opportunities will eventually hurt our economy. When countries like China and India can provide their STEM graduates with high pay and clean air in the future, they won’t have much reason to come here and contribute to our economy. If we want to fix the math education problem in Canada, we need to stop using experimental methods and ensure that students are being taught by teachers who understand what they’re teaching. And while it’s a tall order, we should also make like Finland and pay our instructors more, while expecting more from them. More importantly, we need a cultural shift to encourage young people to pursue degrees in math and science. My dad wasn’t necessarily taught to seek happiness in a job or through his education, but for him, working hard at math brought him a degree in electrical engineering and took him out of poverty. Many of us were told that we should “seek our passion” in school, and that’s what I did with my journalism degree. But a future of endless freelancing in a collapsing industry sure didn’t bring me any joy. Many of us Millenials are rightfully worried about the changing nature of our economy and our expensive educations. Maybe we shouldn’t all go for degrees in English.